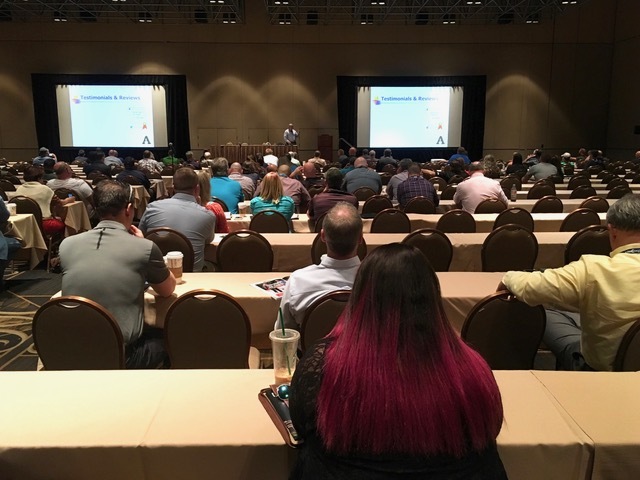 The Apple Group provided two seminars at the International Door Association’s annual convention in Las Vegas on Thursday, April 26, 2018. Dan and Sandy Apple would like to thank the 300+ people who attended each of the 90 minute sessions. The two seminars, “Sales Pros VS Order Takers” and “Recruiting, Training and Retaining Top Performers” were both selected due to their relevance to current market trends. 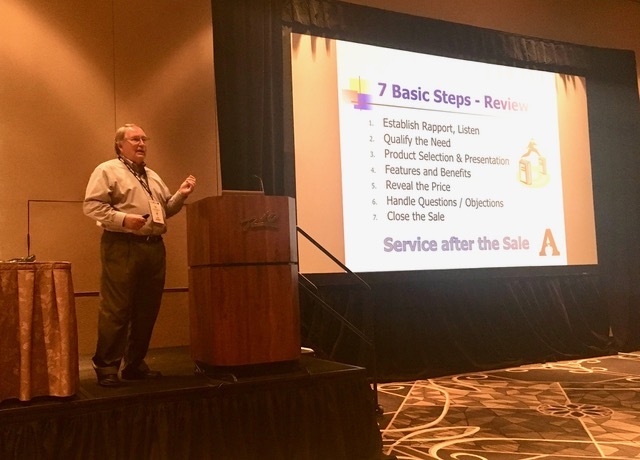 The “Sales Pros” seminar focused on how dealers who want to improve profit margins should focus on selling value and service, not price. Dan provided an overview of the tools, tactics and strategies needed. In the “Recruiting, Training and Retaining” seminar Dan and Sandy discussed how finding and keeping top performing employees have changed in the last 10 years. They focused on current recruiting methods including using online job boards and showcased the garage door industry’s new recruiting tool, GarageDoorJobs.com. They encouraged door dealers to embrace a more aggressive posture when it comes to hiring and training good people in order to create and maintain a superior team of employees. Those attendees unable to attend these seminars can sign up for a private seminar via The Apple Group’s online training program. Click here for more details.